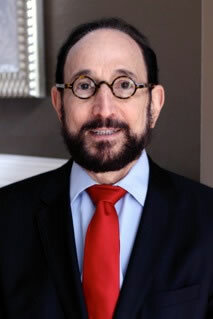 Leon Kappelman is a research scientist, educator, and consultant to corporations, governments, and attorneys. His work for the past three decades has focused on designing, building, implementing, managing, and operating computer-based information systems (IS). Professor Kappelman has published over 100 articles and six books in the areas of IS management practices, software engineering and development, software project management, software requirements, system analysis and design, software project failure, information technology (IT) and enterprise architecture, IS performance measurement, and other computer system and management matters. Dr. Kappelman has testified before the U.S. Congress and submitted written testimony on several occasions regarding high-tech legislation, cyber security, and IS management in the federal government. His management consulting and litigation support clients include Fortune 500 companies (such as AT&T, Hewlett Packard, Microsoft, Verizon), government entities, the White House, the United Nations, and the World Bank, and many small and mid-sized enterprises. His work has been reported in BusinessWeek, Forbes, L.A. Times, New York Times, Newsweek, Wall Street Journal, Washington Post, and many other newspapers and magazines. He has appeared nationally on ABC, CNBC, CNN, and PBS, as well as on numerous local and regional television and radio stations. Dr. Kappelman is dedicated to helping his corporate and government clients better manage their technology, human, and other resources. His management consulting activities include software design and development, software project management, IS assessment and performance measurement, IS strategic planning, IS governance, technical and enterprise architecture, disaster recovery and continuity of operations, and IT workforce management.